Convey your heartfelt wishes by gifting this Bizarre Collection of Dry Fruits, 12 Pcs Mixed Roses and Crackers to the people dearest to you. 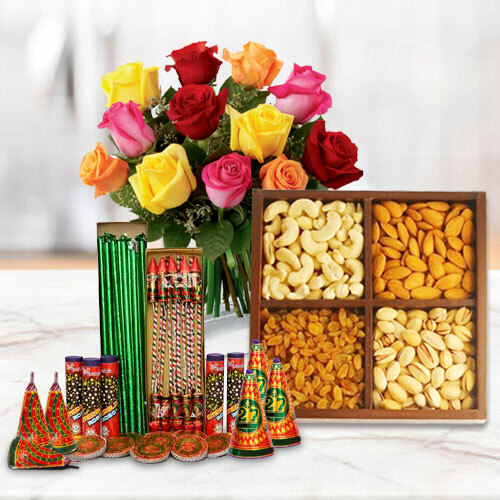 This mind boggling Hamper of 500 gms (Gross Weight) Dry Fruits, 12 pcs Mixed Roses and Crackers. Note: Types of Fire Crackers depend upon their availability.